Lumenpulse Group Inc. is pleased to announce the appointment of Tim Berman as President and Chief Operating Officer, and the appointment of Lance Howitt as Chief Marketing Officer of Lumenpulse Group Inc., effective immediately. Mr. François-Xavier Souvay will continue his role as Chief Executive Officer of Lumenpulse Group. "I am very excited to have Mr. Berman and Mr. Howitt join our executive team to help continue the success of the Lumenpulse Group and help lead us to the achievement of our five-year plan and beyond," said Mr. Souvay. "In their new roles, both will continue to provide critical input into setting the strategic direction of the Group and to maximize the potential of each of our brands." "Like myself, both Tim and Lance also have broad and direct experience as lighting sales reps and ultimately as principals of successful agencies. The benefit of that real world exposure and truly understanding what it is like to walk in the shoes of a specification salesperson calling on a lighting designer or architect, or how an agency principal has to strike the balanced financial and succession needs of their business, cannot be heavily enough underscored," said Mr. Souvay. He continued by emphasizing, "Bringing Tim and Lance into senior management positions overseeing all brands and having completed our privatization, along with moving to our new expanded facility, the Lumenpulse Group is now a private organization that is led by a veteran executive group that deeply appreciates the unique needs of our partners in the sales channel and is clearly focused and uniquely well-positioned for sustainable long-term development. We are poised for even greater growth and can deliver differentiated products at competitive prices to help our partners all over the globe generate profitable returns on their investments with all of our brands." Reporting directly to François-Xavier Souvay, Chief Executive Officer, Mr. Berman will oversee all aspects of all the Lumenpulse Group brands as President and Chief Operating Officer and work closely with Mr. Souvay to develop and manage the strategic plan for the Lumenpulse Group. Mr. Berman most recently served as the President of Fluxwerx Illumination Inc., which he co-founded in 2011 and which became part of the Lumenpulse family in 2016. Mr. Berman was awarded the prestigious Ernst & Young Entrepreneur of the Year Award in 2016, and the ACG Dealmaker of the Year Award for corporate achievement. With over 30 years of experience in the lighting industry, Mr. Berman combines expert strategic acumen with solid financial and operational experience, along with technical and innate leadership abilities. "Tim's ability to inspire and lead allowed him - in a remarkably short period of time - to drive Fluxwerx from an innovative start-up with no revenue five years ago, to a brand that today generates multi-millions in both revenue and earnings. 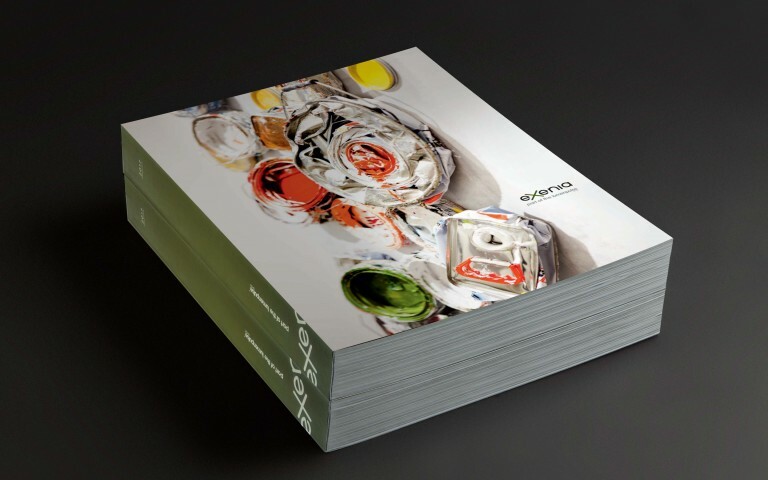 Fluxwerx has catapulted to be a clear leader in the North American lighting market," said Mr. Souvay. "We are excited to have him take on a global role for the Lumenpulse Group and to see the next level of growth with the company." Prior to Fluxwerx, Mr. Berman previously held executive leadership positions as president of Ledalite from 2000-2011, a division of Philips (formerly Genlyte). He was also one of a select group appointed to the Executive Committee of Philips Luminaires North America (formerly Genlyte), and Mr. Berman also served as the Senior Director for Innovation and Product Management, as well as Senior Director for the Office Segment. Prior to his roles with Ledalite and Philips/Genlyte, Mr. Berman started and successfully operated and then sold two manufacturer's representative agencies in Vancouver, giving him keen insight to the market and the industry sales channel. As Chief Marketing Officer of the Lumenpulse Group, reporting directly to Mr. Berman, Mr. Howitt will oversee the marketing strategy of the global Group and will work closely with all executives to enhance the Group's brand awareness and strategic messaging. Mr. Howitt will be responsible for the creative direction and development of the company's marketing efforts, including brand strategy, new product design requirements, client experience related to daily operations and special events, and oversight of all design related to print and online presence. Lance Howitt previously served as the Vice President, Sales & Marketing of Fluxwerx Illumination Inc., which he also co-founded. Mr. Howitt also has over 30 years of experience in the lighting industry and has developed deeply entrenched relationships with both the specification community and agency sales force across North America. At Fluxwerx, Mr. Howitt was responsible for strategy and development of all sales related activities as well as the leadership of marketing, product development, and the management and motivation of a world-class network of more than 90 independent representative sales agencies across North America. "Having led Fluxwerx's sales and marketing strategy, Lance has been instrumental to the stellar success of the brand," said Mr. Souvay. "His contributions have made Fluxwerx a strong leader in its segment and his input and experience will be a tremendous asset to our agents, distributors and clients on multiple levels." 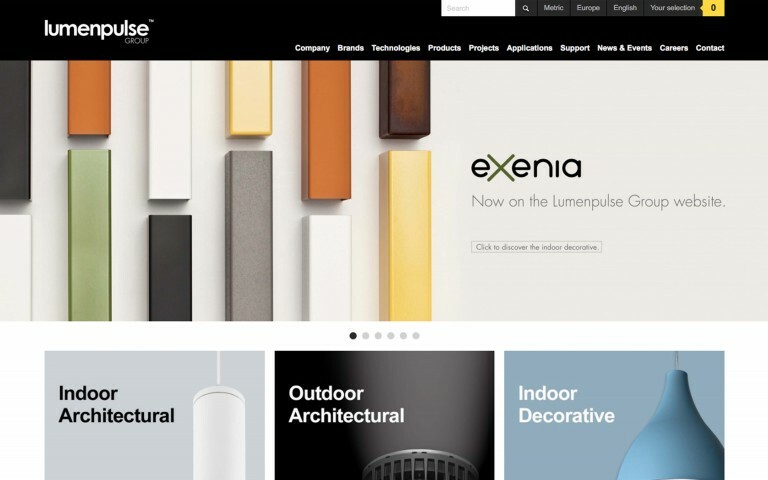 In his prior position as VP Sales and Marketing for Philips Ledalite, Mr. Howitt was the creative force behind much of the new product positioning, content collateral, messaging and application. In addition, his role included oversight of all aspects of sales service operations, the North American regional sales management group, development of all product launch activities, creation of AIA/LEED and sustainability initiatives, website architecture and online applications, as well as hosting inbound and speaking at client seminars and retreats. Prior to Philips Ledalite, Mr. Howitt's experience was rising through the ranks of a family owned rep agency where he ultimately became CEO and managing principal of the largest lighting and controls representative agency in Canada. Mr. Howitt is a former recipient of an LC designation bestowed by the National Council for the Qualification of Lighting Professionals (NCQLP) and has been active member of the IESNA and involved with the IALD Education Trust. Mr. Howitt has also been a member of the EnOcean Wireless Alliance in the North America that set the standards for development of wireless building automation and controls. In addition, Mr. Howitt has been the chairperson and lead sponsor of the Vancouver League for Studies in Architecture, as well as a judge of the International Illumination Design Awards (IIDA). For more information about the Lumenpulse Group's management team, please visit http://www.lumenpulsegroup.com/company/management-team. Founded in 2006, the Lumenpulse Group designs, develops, manufactures and sells a wide range of high performance and sustainable specification-grade LED lighting solutions for commercial, institutional and urban environments. 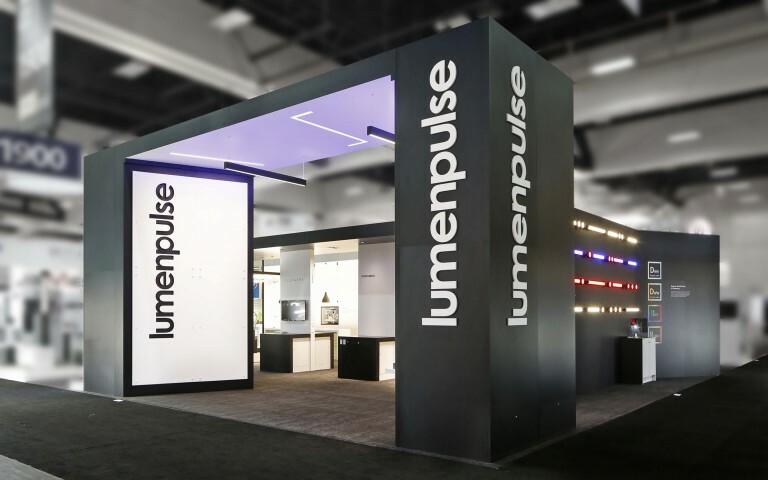 The Lumenpulse Group is a leading pure-play specification-grade LED lighting solutions provider and has earned many awards and recognitions, including several Product Innovation Awards (PIA), three Next Generation Luminaires Design Awards, two Red Dot Product Design Awards, a Lightfair Innovation Award, and an iF Design Award. The Lumenpulse Group now has 670 employees worldwide, with corporate headquarters in Montreal, Canada, and offices in Vancouver, Québec City, Boston, Paris, Florence, London and Manchester. 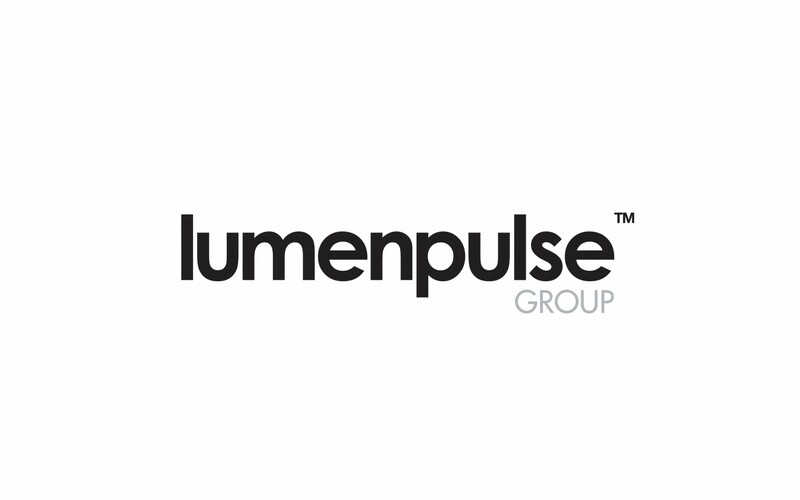 Follow Lumenpulse Group on Twitter, Instagram & LinkedIn.